From the prize-winning author of Seating Arrangements comes an exquisitely written, fiercely compelling glimpse into the demanding world of professional ballet and its magnetic hold over two generations. 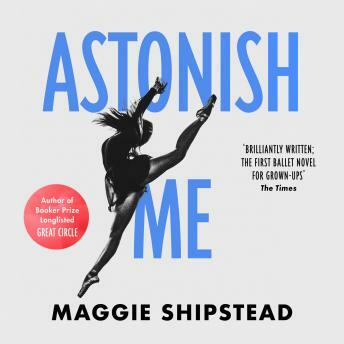 Astonish Me is the irresistible story of Joan, a young American dancer who helps a Soviet ballet star, the great Arslan Rusakov, defect in 1975. A flash of fame and a passionate love affair follow, but Joan knows that, onstage and off, she is destined to remain in the shadows. After her relationship with Arslan sours, Joan decides to make a new life for herself. She quits ballet, marries a good man, and settles into the rhythm of Californian life with their son, Harry. But as the years pass, Joan comes to understand that ballet isn't finished with her yet: for there is no mistaking that Harry is a prodigy. Inevitably Joan is soon pulled back into a world she thought she'd left behind and back to Arslan. Gripping and dramatic, Astonish Me is a story about the nature of talent, the choices we must make in search of fulfilment, and how we can never truly escape from the secrets of the past.